Sean graduated from the University of Wisconsin-Madison School of Business and moved to Flagstaff in 1995. As Associate Director at Northern Arizona University’s Center for High Altitude Training from 1996-2008, Sean cultivated a wealth of experience working with the best elite sport programs in the world. He oversaw both the university’s international altitude training camp program and was Director for NAU’s U.S. Olympic Training Site designation from 2005 until his resignation from NAU in 2008. Sean left the Center for High Altitude Training in order to form Hypo2 Consulting, LLC, a sport management consulting company, but retooled Hypo2 in early 2009 so that he could continue to help elite international and domestic athletes with training camps in Flagstaff. 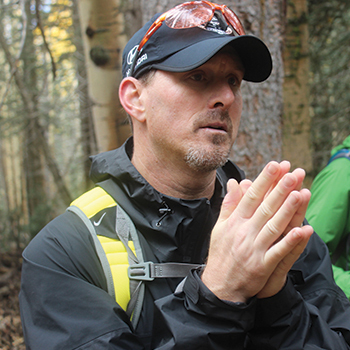 He has represented Flagstaff as an altitude training site at many events and with many organizations around the world, including the Forum on Elite Sport at the Brazilian Olympic Committee in Rio de Janeiro, Brazil; the International Symposium of Altitude Training in Granada, Spain; and the Japan Institute of Sport Science in Toyko, Japan. He has worked with thousands of high performance athletes from a myriad of national sport federations and teams in his many years of planning and managing altitude training camps and programs.